I did a search but couldn't find anything useful. 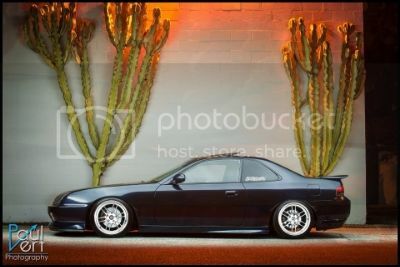 I am wondering if anyone is running staggered wheels on their 5th gen and how they like them. I am not looking for any particular wheel type but more interested on the wheel size, offset and tire size that compliments the lude's handling. Thanks for your input. Well I have AP1 wheels hose are staggered. I haven't put them on but when I do Ima do a reverse staggered. Wider in the front because I think if you put wider In the rear you'll have a lot of understeer. Hey while your at it get some air shocks and some traction bars,,, just kidding to each their own. But I saw a VW jetta the other day with staggered wheels and I thought it looked terrible, I have never seen them on a 5th Gen lude but I think my opinion of them will be the same. Not even sure I would like them on a S2000, but that application I understand the idea behind it. I like the 350Z with the staggered wheels I even like the Porsche 911 Turbo even better. But those types of cars it looks good and it plays a purpose. I had staggered wheels on my 528i and it looked sick. They might look okay on the 5th Gen but no purpose other than looks. I usually call that kind of stuff all show and no go. But like I said everyone has their own preferences and if you like it, then you should get it, but most of the 5th Gen owners want to lower these rides and unless you really go smaller or more narrow really on the front wheel and tire then I'm afraid the rear wheel tire won't tuck. Keep in mind you go narrow on the front wheel and tire you'll have less traction and our cars are on the heavy side and you'll get even less power to the pavement. Thanks for your input. I see your point about the all show no go regarding the staggered wheels as it does not provide any handling or performance improvements. I do like the staggered look on the vehicles you mentioned along with most other rear drive sports/muscle cars. I was just curious about how staggered setups would look on our beloved 5th gens even with a +40 or more offset. So far, all the staggered setups I have seen has not impressed me as the rears have minimal lip and keeping inside or flush with the fender. I do prefer wheels with a lip which in my opinion looks agressive and racy. 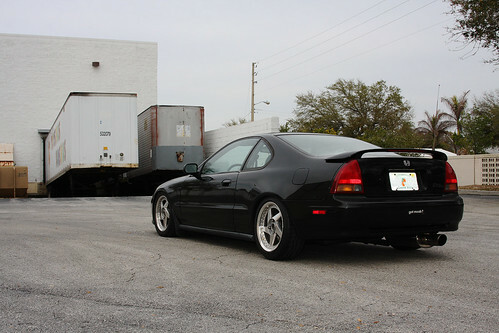 So the search for wheels continues, just maybe not with a staggered setup like I hoped for. you can run staggered rims with the same sized tires to not compromise handling and risk having additional understeer. my brother has a 4th gen but the same applies. he is running 16x7 and 16x8 carving starks +35 all around. they look amazing on his car. he runs 215-45-16 azenis rt-615s on all corners. he could actually probably run a 9" in the rear without rubbing or just use a 10-15mm spacer. he could run 8" up front as well. i ran 16x8 +32 all around with the same tires i didnt rub at all and i am pretty low. the front fit very well but i could still use a spacer in the rear. the problem with staggered wheels is that you cant rotate them. Well you could modify the rear suspension and unibody, I wouldn't recommend it though, you know kinda how you would do for tubbing out the rear end of a Pro Street car. I don't think it would be as hard as doing it on a rear wheel drive vehicle, plus once you've done it you could go with any size wheel with lip you wanted really. thats my brothers set up like i mentioned above. Yeah, I don't think I will be "tubing" out the lude as it is my daily commuter car and i just don't want to put that much effort into it. Now if I had a vintage muscle car (firebird,camaro,mustang) take your pick I would consider a "tubing". Thats is a nice ride.....I like the staggered wheel setup. Does her have any rub issues going over speed bumps? From the looks I would say yes, unless they rolled the rear fenders. they fenders are not rolled. he has no rubbing issues at all. he will be rolling the fenders and putting 5 mm spacers up front and 15 mm spacers out back. Not even sure I would like them on a S2000. You realize that they come with staggered wheels from the factory right? If they do its ever so slight. I'll have to pay closer attention there was a 2007 for sale down the street, I'll have to go check it out. You know I have still never driven one. I just don't think I could own an even smaller car. Plus I'll have no place to put my roof rack. I had one. They all did. staggered wheels on a 5th gen are very possible and look amazing imo. my next set will be staggered and i plan on going for that flush look. im planning on going 17x8 front and 17x9 rear with around a +30 offset. if you want that flush look theres a couple of things you will need to modify. i've been researching this stuff for the past couple of months. you just need the right sized wheels and tires (obviously), roll your fenders (maybe a slight pull if you want), coilovers or coilover sleeves, and front and rear camber kits.